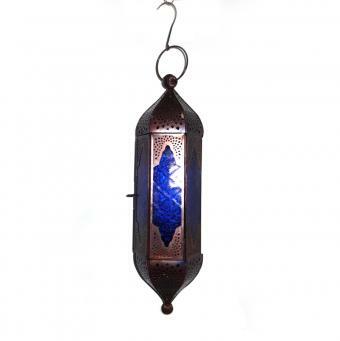 Blue glass hanging tower lantern is handmade iron candle lantern with blue glass on sides. These are handcrafted by our skilled professionals. 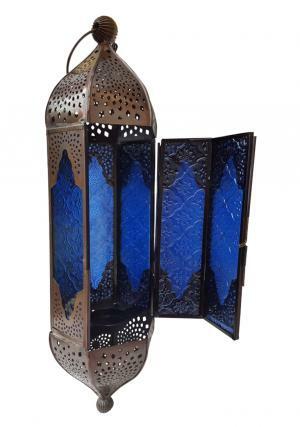 These lanterns add additional beauty to the location where placed. 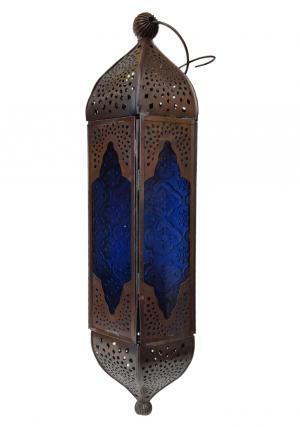 The moroccan lanterns are built with quality iron and coloured glasses‚ finished with copper antique with respective color combinations. 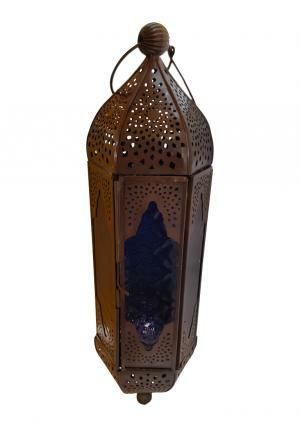 It is available in size of 16" (H) X 5" (Dia) inches and weighs 0.69 Kgs. We are not offering candles. We provide free shipping‚ safe and secure payment gateway through our website.